Contact Our Pediatric Dental Office! At Children’s Dentistry of Redlands, Drs. Jennifer Hoffer and Heather Lauer provide compassionate, comfortable pediatric dental care. With our beautiful under the sea themed office, to our kid-friendly staff, we are committed to providing warm and welcoming dentistry for your child. Our dental practice is located at 1895 Orange Tree Lane, in Suite 202 at the corner of Orange Tree lane and Nevada. We also offer emergency dental services for patients on-record. If your child has knocked out a permanent tooth or had broken or chipped a tooth, please contact our Redland’s pediatric dental practice immediately at (909) 793-7274. Our goal at Children’s Dentistry of Redlands is to ensure that our patients receive quality pediatric dental care, but are happy in the process. We do our best to make sure you and your child have a great experience and create great dental patients in the future. We are gentle and genuinely love what we do. 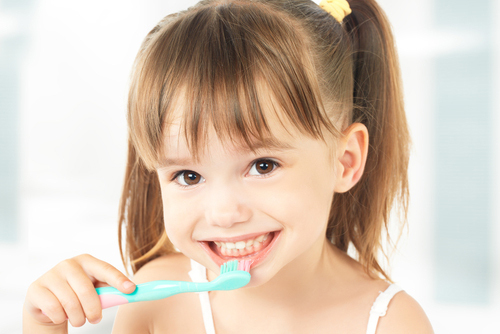 Contact us today for your child’s next dental appointment!